Saint Ephrem the Syrian of the 4th century writes that “God reveals his truth in two books, the book of nature and the book of the Scriptures.” The past two days have borne out that truth for me in a beautiful diptych of meditation. On Day 8 we walked through beautifully cultivated vineyards heavily laden with robustly healthy grapes. 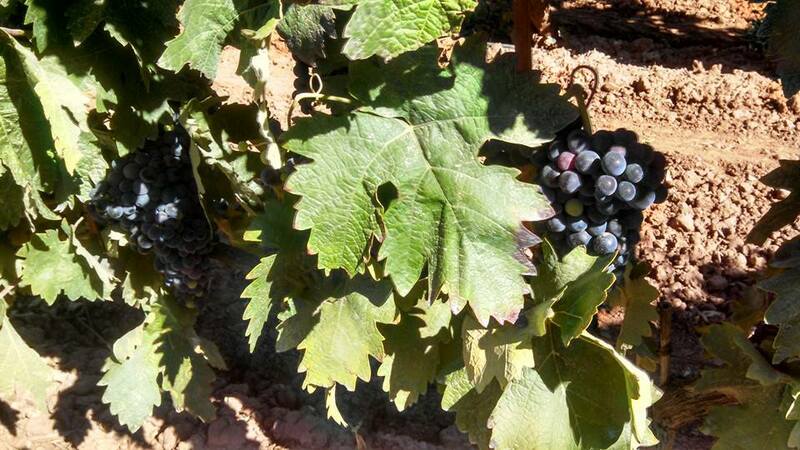 Grapes so dark and beautiful that they are mirror of the sun as they await to be harvested soon for Rioja vino tinto. My mind’s eye became a veritable Scriptural mosaic of the images of grapes and wine that our Lord gives to gladden the hearts of men. More importantly the abundance of grapes reveals a mystery hidden from ages past but now revealed; that Jesus is the Messianic fulfillment of the symbol of wine in the Scriptures of ancient Israel, in that Jesus is, in the words of Saint John, the best wine reserved even until now. And he took a cup of wine and said “This is my blood, the blood of the new and eternal covenant.” Day 8 was so filled with the richness of a reflection that brought me such spiritual delight. On Day 9 the terrain changed in that in the intensity of the heat of the sun was almost unbearable as we walked through beautifully cultivated land recently harvested. The rolling hills were carpeted with the remains of the harvest. Rolling hills that once were covered with wheat and hay. Once again my mind’s eye became a veritable Scriptural mosaic of the images of wheat. And the finest of wheat the Lord can provide… the bread come down from heaven to sustain us on our camino to eternity. This entry was posted in Beauty, Camino, Pilgrimage and tagged Bread, Camino, Jesus, Pilgrimage, prayer, Rioja, Sacraments, Scriptures, St. Ephrem, Vino Tinto, Wine on September 6, 2014 by frjfkauffmann.